Any Wisconsin residents, please contact your representatives. This is disgusting and horrific. Please read the article for the facts. 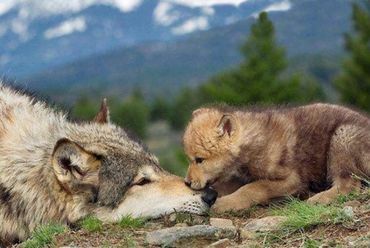 "Wisconsin legislators have proposed legislation (LRB 3737/1) to end the state's protection of wolves and force police to ignore the killing of wolves. This action, whether passed or not, signals to wolf haters across Wisconsin that they can poach wolves without penalty." GOOD GRIEF are they mad!!! Totally unacceptable! I made this petition in opposition to this cruel and ignorant bill. Signed & you have 4 signatures! Thanks to you for sharing. Signed the petition as well.